Leon Klinghoffer's murder should not be turned into a work of art; it was a deeply personal, tragic event. JTA - On October 8, 1985, our 69-year-old wheelchair-bound father, Leon Klinghoffer, was shot in the head by Palestinian hijackers on the Achille Lauro cruise ship. The terrorists brutally and unceremoniously threw his body and wheelchair overboard into the Mediterranean. His body washed up on the Syrian shore a few days later. Beginning on October 20, 2014, for eight performances, a baritone portraying “Leon Klinghoffer” will appear on the stage of the Metropolitan Opera and sing the “Aria of the Falling Body” as he artfully falls into the sea. Competing choruses will highlight Jewish and Palestinian narratives of suffering and oppression, selectively presenting the complexities of the Arab-Israeli conflict. The four terrorists responsible for his murder will be humanized by distinguished opera singers and given a back story, an “explanation” for their brutal act of terror and violence. Opera-goers will see and hear a musical examination of terrorism, the Holocaust and Palestinian claims of dispossession — all in fewer than three hours. Since the Met Opera’s decision to stage “The Death of Klinghoffer” by composer John Adams became public several months ago, much has been said and written about our father. 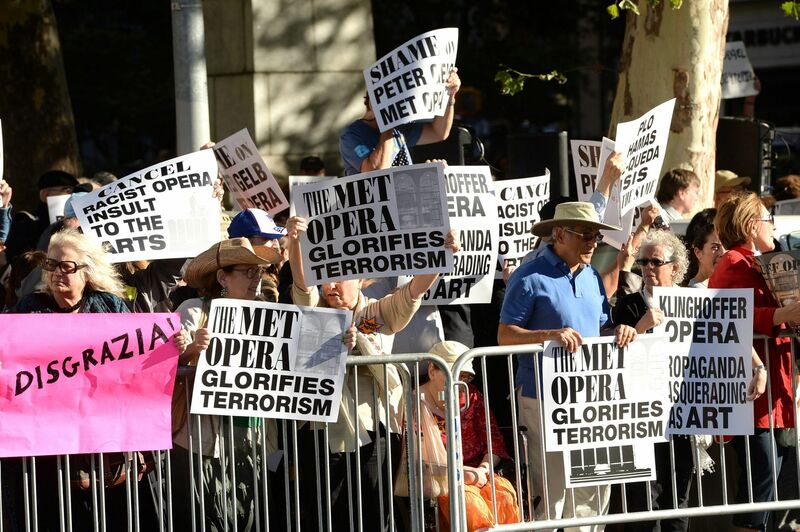 Those opposed to the opera’s appearance in New York have elevated his murder at the hands of terrorists into a form of martyrdom. To cultural arbiters and music critics, meanwhile, his tragic story has been seen merely as a vehicle for what they perceive to be artistic brilliance. 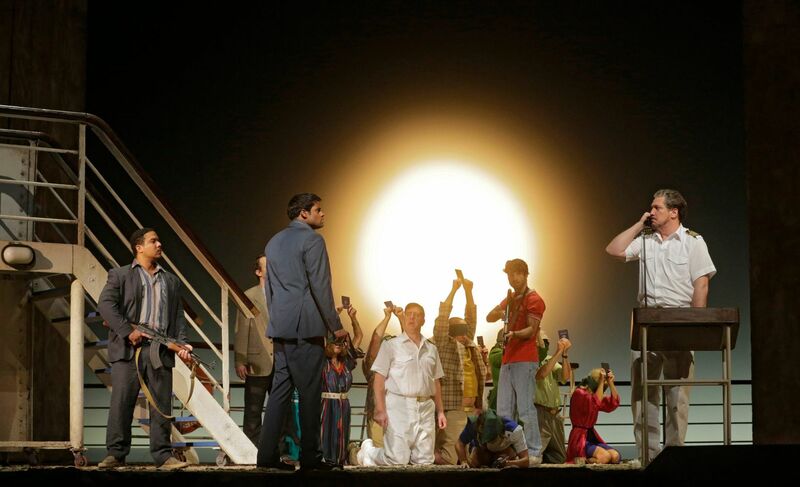 For us, the impact and message of the opera is much more deeply felt and tragically personal. Neither Mr. Adams nor librettist Alice Goodman reached out to us when creating the opera, so we didn’t know what to expect when we attended the American debut at the Brooklyn Academy of Music in 1991. We were devastated by what we saw: the exploitation of the murder of our father as a vehicle for political commentary. We have always been strong supporters of the arts, and believe they can play an important role in examining and understanding significant world events. “Klinghoffer” does no such thing. It presents false moral equivalencies without context and offers no real insight into the historical reality and the senseless murder of an American Jew. The opera rationalizes, romanticizes and legitimizes the terrorist murder of our father. Long ago we resolved never to let the last few minutes of Leon Klinghoffer’s life define who he was as a man, husband and father. Opera patrons will only see Leon Klinghoffer presented as a victim — he was so much more. Our father was an inventor who loved to work with his hands. After his stroke, he continued to use his one good arm to repair anything that needed fixing. Every Saturday night he and our mother, Marilyn, would get dressed up and go out dancing. Family and friends meant everything to him. He was on a cruise with our mother, celebrating their 36th anniversary with a group of lifelong friends who summered together on the Jersey shore, when terrorists took over the ship, announced a hijacking in progress, and separated the Jewish passengers from those on board. The terrorist thugs who murdered Leon Klinghoffer didn’t care about the good, sweet man our father was. To them he was just a Jew — an American in a wheelchair whose life they considered worthless. As the years have passed, we have tried to ensure that his murder would not be forgotten or, worse, co-opted or exploited by those with an agenda. We believe his ordeal should continue to serve as a wake-up call to civilized society about the dangers of terrorism. We have dedicated our lives since the tragedy to educating people about the danger of terrorism, and putting a personal face on victims and their families through the Leon and Marilyn Klinghoffer Memorial Foundation of the Anti-Defamation League. Our father was one of the first American victims of Middle Eastern terrorism. Today with the memory of 9/11, the reality of al-Qaida and ISIS, and countless other attacks and threats, Americans live under the deadly threat of terrorism each and every day. Terrorism is irrational. It should never be explained away or justified. Nor should the death of innocent civilians be misunderstood as an acceptable means for drawing attention to perceived political grievances. Unfortunately, “The Death of Klinghoffer” does all of this and sullies the memory of our father in the process. 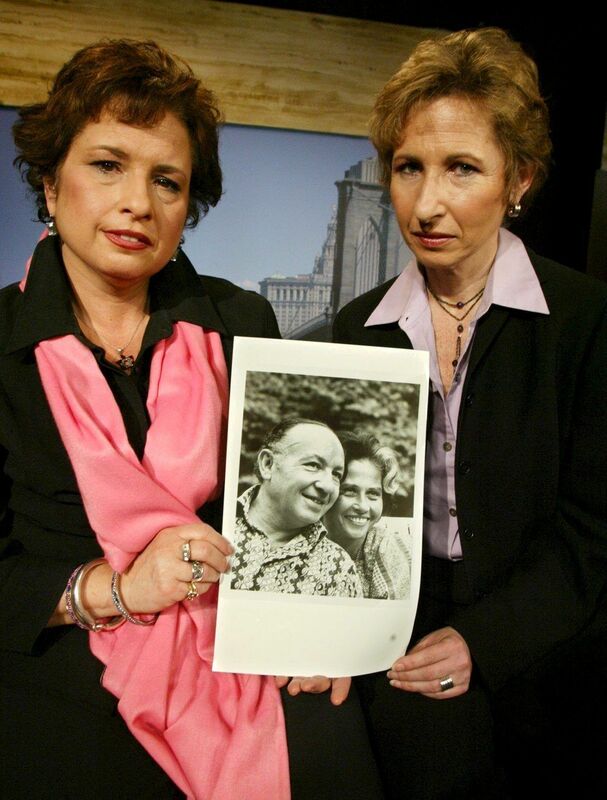 Lisa and Ilsa Klinghoffer of New York City are co-founders of the Leon and Marilyn Klinghoffer Memorial Foundation of the Anti-Defamation League, which they established with their late mother, Marilyn, in 1985, to raise awareness about the evils of terrorism.